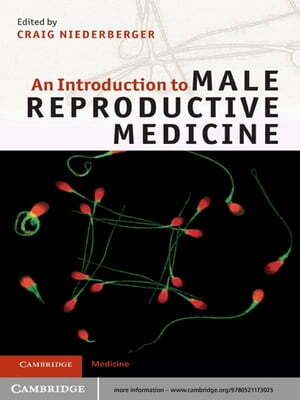 Collins Booksellers - An Introduction to Male Reproductive Medicine by Craig Niederberger, 9781139063616. Buy this book online. An Introduction to Male Reproductive Medicine is written specifically for readers seeking entry into this fast-moving, complex specialty with a solid understanding of the subject. The first chapters cover the anatomy and physiology, clinical evaluation, surgery, medicine, genetics and laboratory testing involved in the current evaluation and treatment of the infertile male, and the final chapter describes the interaction of the field with female reproductive medicine. Throughout the book, references are directly made to the fourth edition of the major text in the specialty, Infertility in the Male, edited by Larry Lipshultz, Stuart Howards and Craig Niederberger, allowing readers to expand their understanding of specific areas where desired. Each chapter is written by a well-renowned expert in an easy to follow, informal style, making the text ideal for students, residents and general physicians who are seeking to increase their general knowledge of the field.